Jason, the son of a Pentecostal Bishop, grew up surrounded by gospel music. From the traditional hymn to the contemporaries of that day such as the Winans, the Hawkins family, Andre Crouch, Daryl Coley and Vanessa Bell Armstrong, Jason followed gospel music. Today, Jason claims influences from Fred Hammond, Dawkins & Dawkins, Kim Burrell, Donald Lawrence, Donnie Hathaway and Stevie Wonder. Jason honed his musical skills under the tutelage of the late Dr. Nathan Carter at both the Baltimore School of the Arts and Morgan State University. Jason's heart is rooted in music ministry, as he currently is the Minister of Worship and Assistant Pastor of the Greater Bethlehem Temple church in Randallstown Maryland. Jason is also and accomplished bassist. He has accompanied many Gospel artists such as Kim Burrell Ted & Sheri, Yolanda Adams, Marvin Sapp and Karen Clark Sheard. However, Jason's true love was singing. He began to accompany his brother, Jonathan Nelson, on the group Purpose. ?On the debut recording for Jonathan Nelson & Purpose, Jason sang the song ?Everything You Are?. ?That recording became the turning point in Jason's life. ?His career as a recording artist had begun. Jason became a sought after soloist through this venture. Jason has performed with Mary Mary, Kim Burrell, Ted & Sheri, Karen Clark Sheard, Michelle Williams and Patti LaBelle. His performance resume includes stand out concert appearances with Cece Winans, Israel and New Breed, Tye Tribbett & Greater Anointing, Donald Lawrence, Bobby Jones Gospel, TBN's Praise The Lord and MEGA fest (sponsored by TD Jakes). Jason has also recorded with Tye Tribbett & Greater Anointing, Donald Lawrence & Company Youthful Praise and many others. On May 21, 2005, Jason recorded his first Live Recording Baltimore, Maryland before a crowd of 2000. The live session was transformed into a worship experience. ?I Shall Live? 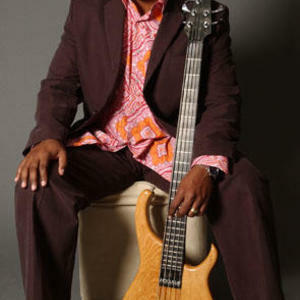 is Jason Nelson's first offering as a solo gospel artist. It is comprised of hit songs of Praise and Worship. This album showcases Jason's writing, bass playing and mostly his anointed singing. Jason says the title song ?I Shall Live? speaks to everyone who has reached a point in their lives where they wanted to give up. It encourages people in every walk of life to speak to their situation and say, ?I shall not die, I'm going to live!? ?